This dress has been worn several times and was a well loved piece, but it is in great condition. 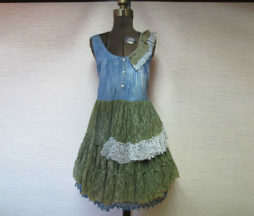 The use of different fabrics give this a really interesting look, and I believe the blue fabric in the bodice was hand dyed. Very comfortable fit, waist ties can be tied at the if you wish. 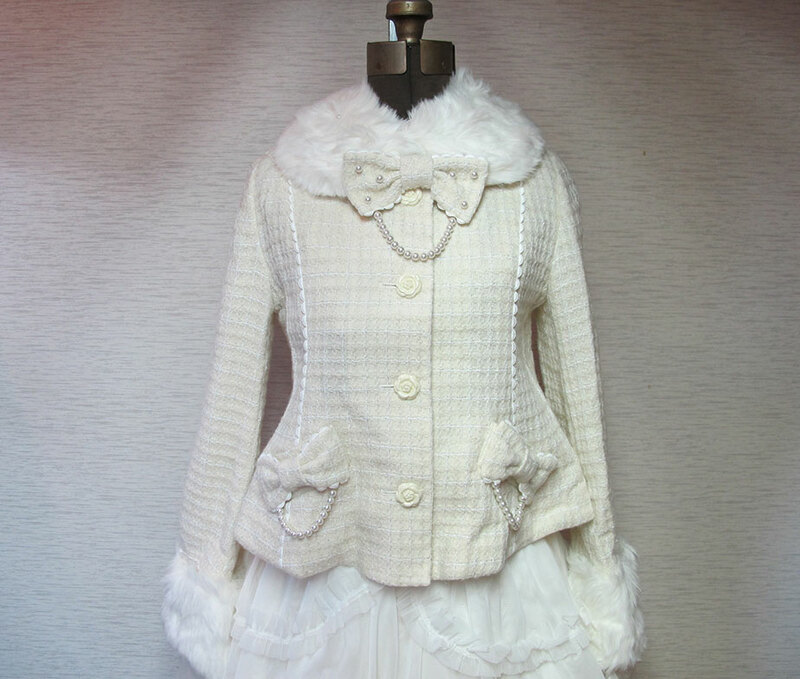 Pictures 2 and 3 are coordinate examples, but the other two pieces in the coordinate have sold, please note this listing is just for dress. This item has been worn many times and shows signs of age and wear. 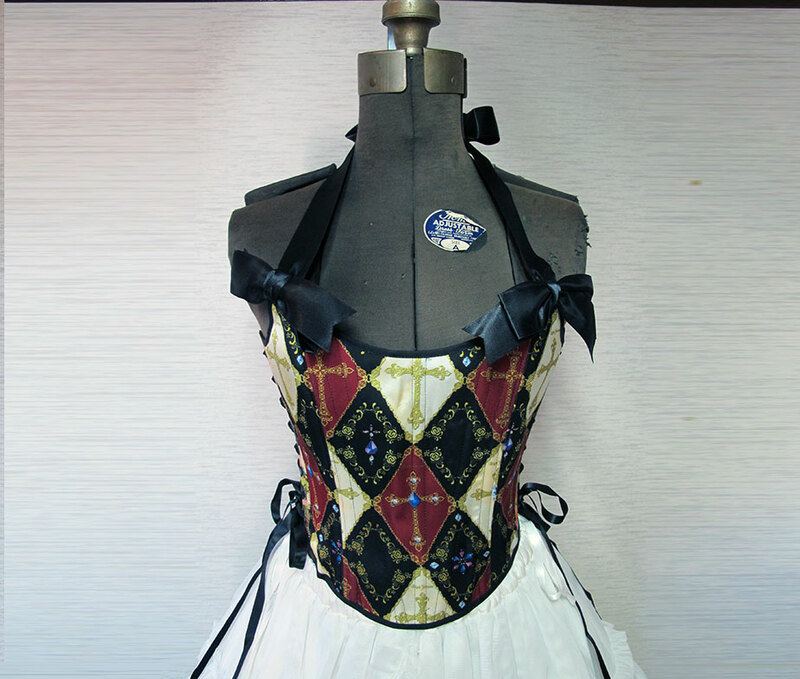 There is a yellowish mark on the skirt and a brown mark on one of the waist ties. I have washed the skirt, but did not spot treat these areas, so they might lighten. 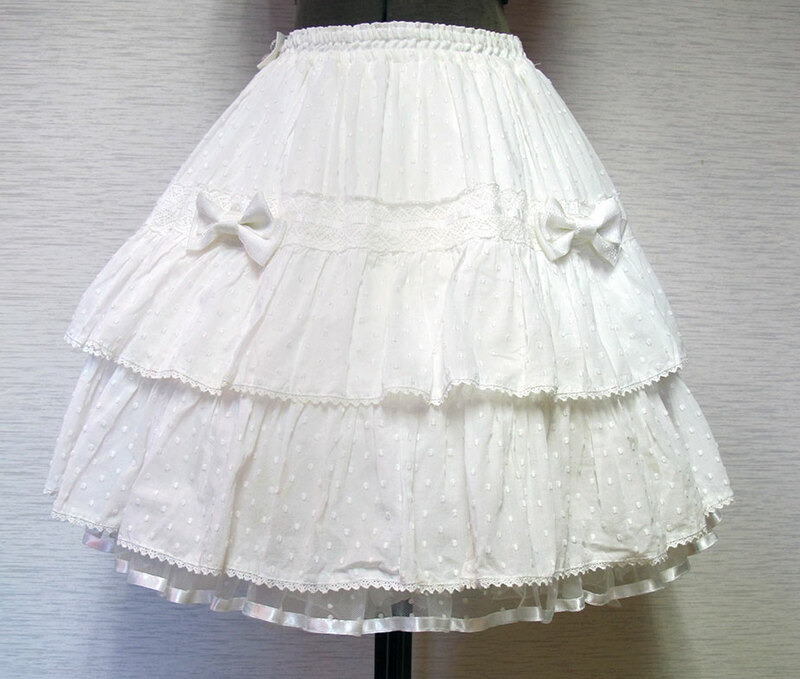 The ribbon running though the lace on the middle of the skirt also seems a bit long somehow, so a bit of excess ribbon is gathered behing the white bows on the front of the skirt. Overall the skirt has a worn feel, but still has outfit potential! The waist is fully elastic and comfy. This item has been lightly worn and is in good shape. Short sleeved hooded parka with pockets on the front. 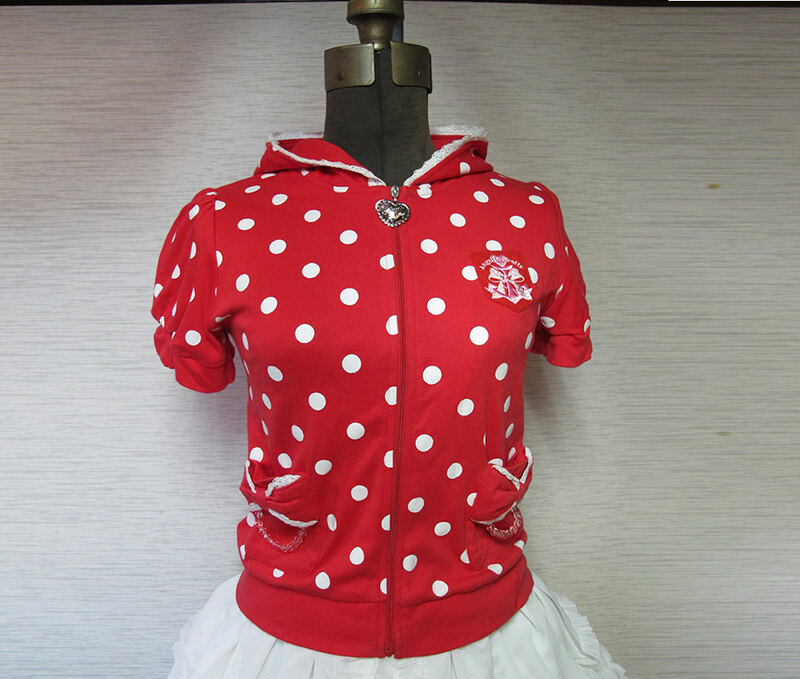 Cute Angelic Pretty anchor logo, silver Angelic Pretty heart zipper pull, red bows on the cuffs, and cute bead detail on the pockets. 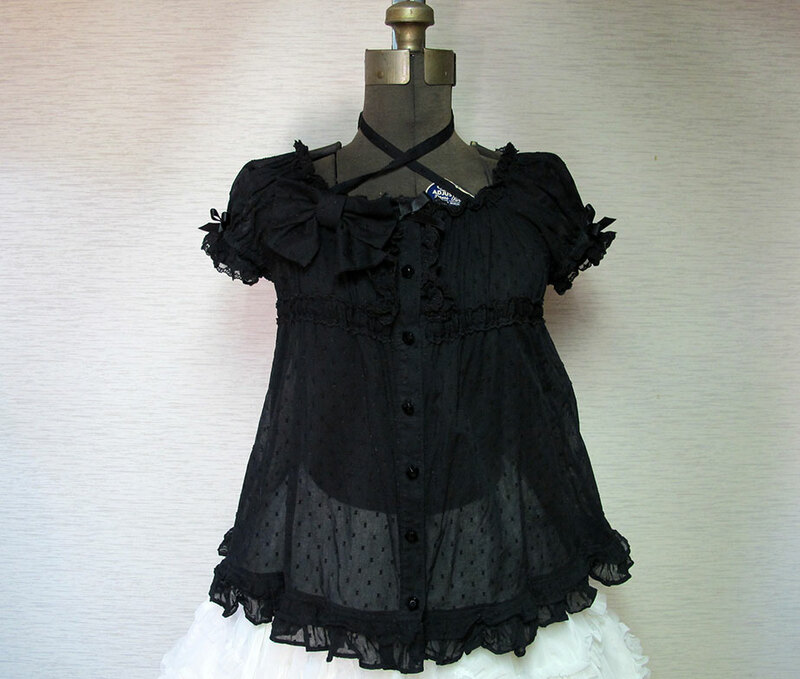 Lots of cute details for you to enjoy on this cute top! This is brand new and unworn with tags. 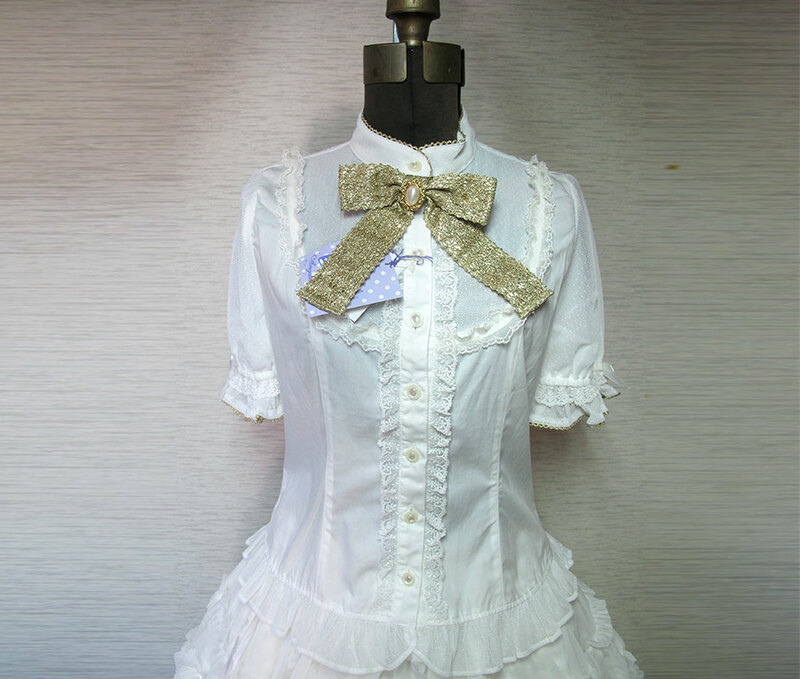 Short sleeve blouse with lovely gold trim and a removable gold ribbon brooch at the neck. This blouse has been worn about 1-2 times and is in great shape. 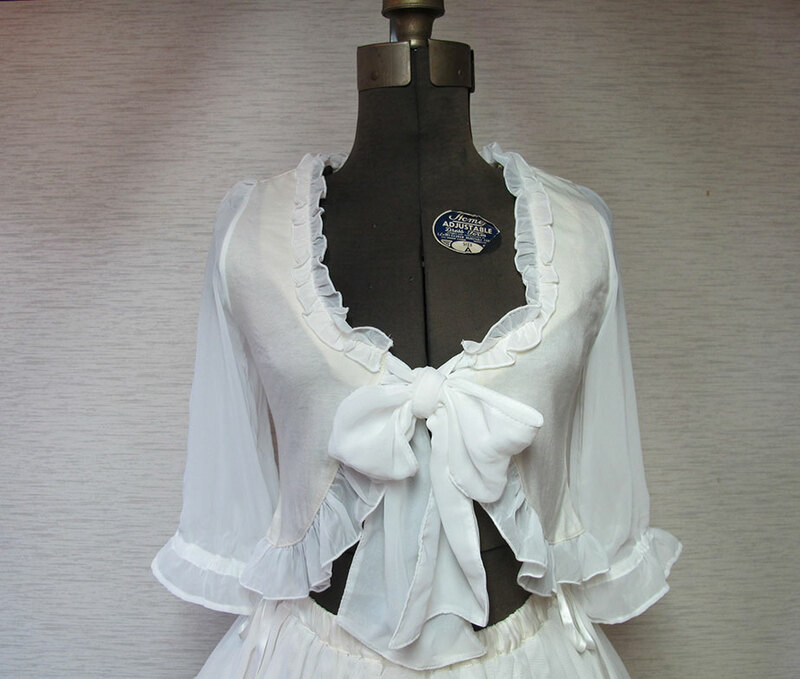 The blouse can be worn with or without the bow tie ribbon at the neck. This blouse has been worn several times and while it has no major flaws it does have a worn feel. 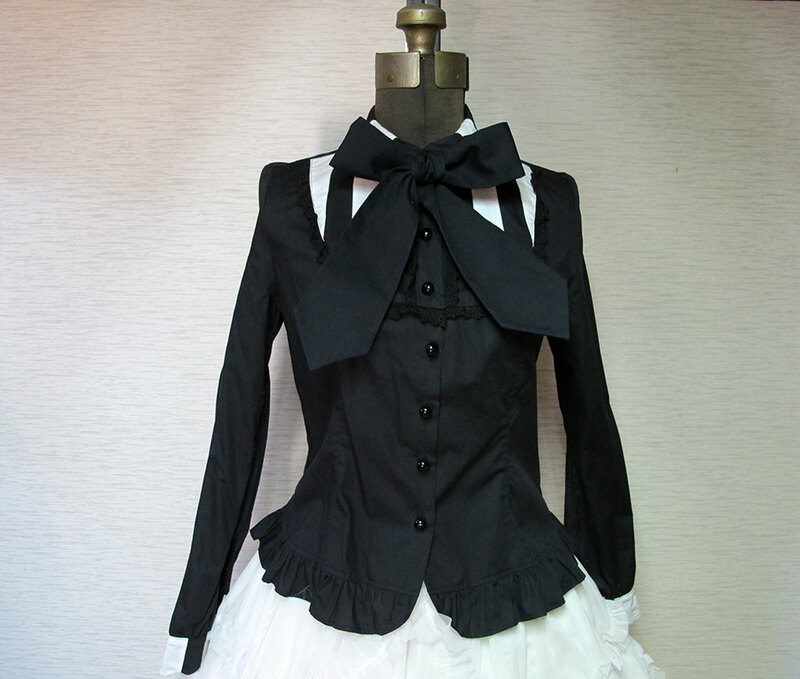 The black ribbon brooch at the neckline is removable. Back is fully shirred and the aline shape make it comfy to wear. Neck ties are removable. This is brand new and unworn. Cute chiffon bow ties at the neckline.